At New Jersey Flooring located in Hawthorne, NJ, we offer professional hardwood floor refinishing. Our hardwood floor refinishing contractors provide services in Hawthorne, Wayne, Clifton, and surrounding New Jersey cities. If your hardwood flooring looks dull, faded, or scratched; it’s time to refinish your hardwood floors. Our hardwood floor refinishing contractors can add beauty back to your wood flooring. Refinishing floors is the cleanest possible solution for your floors, and is preferred for people who suffer from allergies and respiratory problems. Hardwood floor refinishing can seal cracks and gaps that may allow dust in. Also, this is one of the most affordable and low cost solutions to adding value and beauty to your home. Sanding is considered one of the most important steps in hardwood floor refinishing. The hardwood floor refinishing contractors sometimes need to use several grades of sandpaper, depending on the floor’s current condition. Our dustless hardwood floor sanding machine adds only minimum dust to clean up later. After sanding is completed, the customer will then choose a darker or lighter finish. There are several color stain options for you to choose from to refinish your hardwood floors. After staining, the wood floors are then given a polyurethane coating. For any customer who prefers a natural finish, stain is not used but polyurethane is then layered on top of the newly sanded floors. Prices only for 500 sq.ft or more. * Minimum charge job $350 and subject to inspection of existing floor. * Minimum charge job $400 and subject to inspection of existing hardwood flooring. All rates and prices are subject to the inspection of your existing wood floors from one of our flooring specialists. 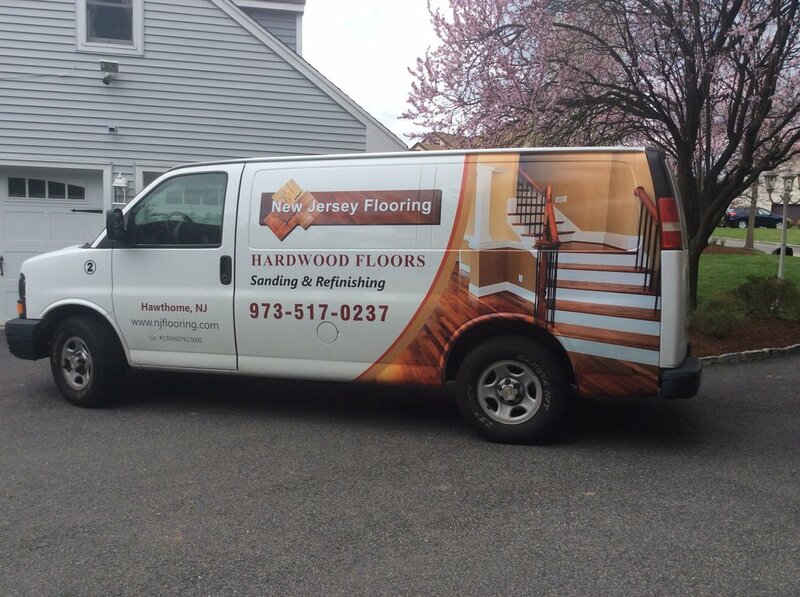 Contact New Jersey Flooring at (973) 517-0237 for professional hardwood floor refinishing and hardwood flooring installation in Hawthorne, Wyckoff, Wayne, Clifton, and Oakland, New Jersey.